Home » Beef » Feedlots: What are the views of the farm bodies? Over the last few months some new figures have emerged in relation to feedlot operations in Ireland. Meat Industry Ireland (MII) recently confirmed that “approximately 5%” of the total annual beef kill originates specifically from factory-owned or factory-controlled feedlots. Late last year, AgriLand determined that an estimated 18% of the total national beef kill is accounted for by department-defined ‘restricted feedlots’. Such enterprises, which operate according to specific TB-led regulations, could include factory-owned, factory-contracted (but privately-owned) or independent farmer-owned feedlot operations. The definition of a Department of Agriculture, Food and the Marine defined ‘restricted feedlot herd’ is outlined at the bottom of this article. AgriLand also recently revealed that the number of department-defined ‘restricted feedlots’ – whereby stock moved only to slaughter – has increased sixfold across the country over the last 10 years. So, while it has now been confirmed that approximately 5% of the annual kill is coming from factory-owned or factory-controlled feedlots – around 90,000 head – it is still unclear as to what percentage is derived from factory-contracted feedlots. 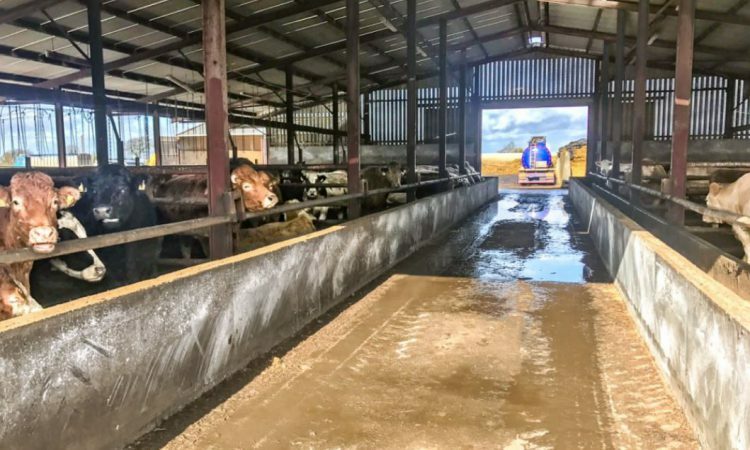 Eddie Punch, the general secretary of the Irish Cattle Sheep Farmers’ Association (ICSA), believes factory-owed feedlots provide meat plants with “immense power“. 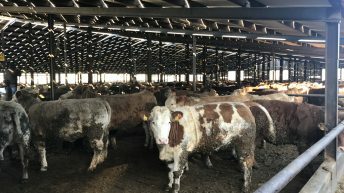 Factory-owned and factory-controlled feedlots give immense power to meat factories and it does beg the question – should a processor be allowed to have a feedlot? Punch went on to say that it was a “huge issue” and one that warranted “an investigation”. “I would say that this is so serious that the Government needs to bring in legislation to deal with the matter appropriately. “Really, in order to achieve anything with this, you would need to collapse the Quality Assurance (QA) scheme altogether, and nobody is going to do that,” he said. 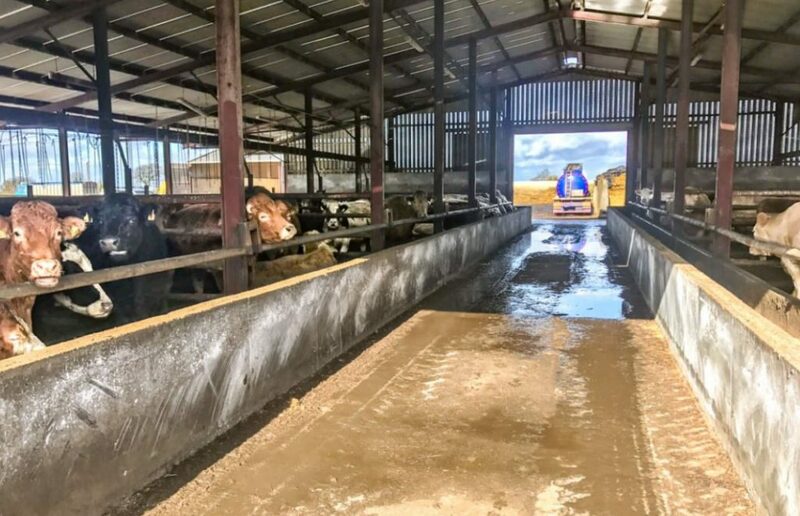 Des Morrison, the livestock committee chairman of the Irish Creamery Milk Suppliers’ Association (ICMSA) pointed to the fact that “more transparency” is needed around the whole issue of factory-owned feedlots. We would feel that more transparency is needed on the number of feedlots in the country and who controls them. “We also need to look at the amount of cattle the feedlots finish and establish if they are being used at specific times to influence beef prices,” he said. Morrison went on to claim that farmers had “absolutely no doubt” that factory-owned feedlots were introduced for the “express purposes” of “controlling overall supply numbers and, therefore, price”. “That’s why they were introduced and that is why they are operated. “The tap of animals coming off the feedlots is turned on to drop the price whenever it looks like a natural, or cyclical shortage, which would have nudged [the] farmer price upwards. That’s the whole purpose,” Morrison claimed. Eamon Corley, co-founder and spokesperson for the Beef Plan Movement, is of the view that “feedlots are being used to flood the market with cattle when cattle are plentiful”. This results in farmers having to wait to get cattle killed – so not only do they have the extra expense of feeding these cattle; but when they do get to sell them the chances are the price has collapsed too. He described the feedlot operations as one of a number of “anti-competitive” practices that work “against farmers” in the beef industry. “To have a range of anti-competitive practices, without any proper pricing structure, adds nothing to the quality of the product – while conveniently ignoring many steps that would have been responsible for creating a beef industry that is now broken,” said Corley. According to the Department of Agriculture, Food and the Marine, under the TB programme a feedlot herd comprises a ‘non-breeding’ unit which disposes of all cattle direct for slaughter and fulfills at least one of the following three criteria: cattle are permanently housed (never on pasture); there are no adjoining holdings/lands with cattle; boundaries are walled, double fenced or equivalent to prevent any direct contact with cattle on neighbouring lands/premises/holdings. 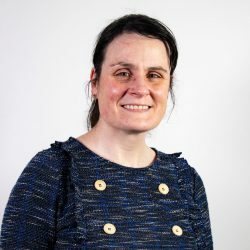 Furthermore, the department outlined that there must be “no evidence” of the within-herd spread of TB – as such, a feedlot herd “poses minimal risk” of infecting other cattle because of effective isolation from other herds.